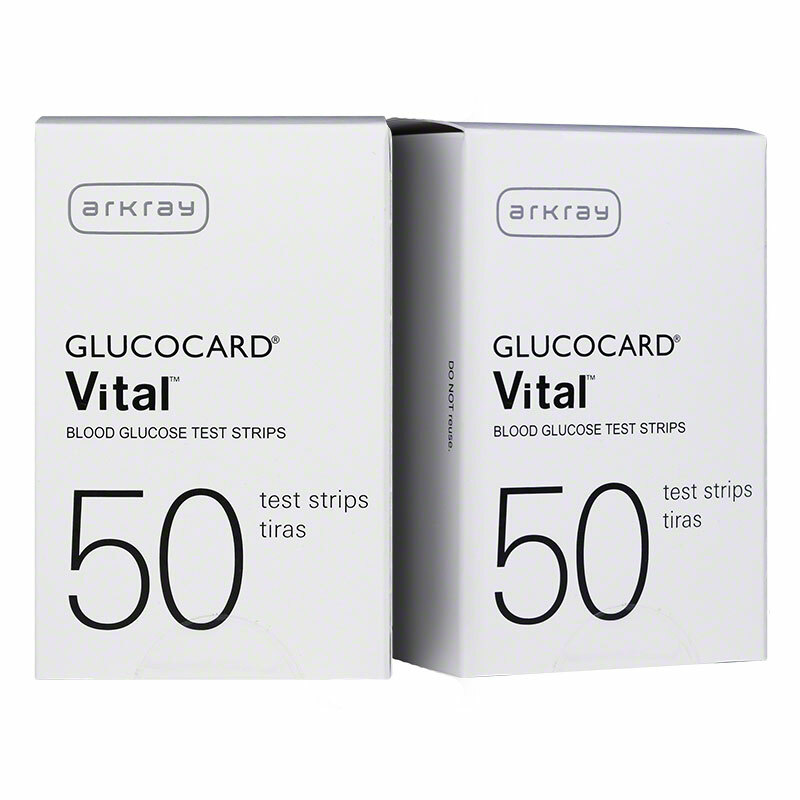 The Arkray GlucoCard Vital Sensor Blood Glucose Test Strips 50/bx are easy to handle, highly accurate and especially meant for in vitro diagnostic use. Case of 12 Boxes (50/bx). 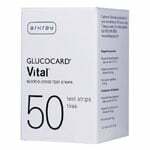 The Arkray GlucoCard Vital Sensor Blood Glucose Test Strips 50/bx are easy to handle, highly accurate and especially meant for in vitro diagnostic use. 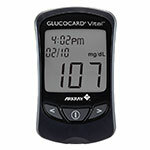 These test strips require small 0.5-µL (microliter) blood sample that makes testing more comfortable and results in seven seconds. Strips are good for up to three months after opening. 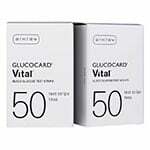 Case of 12 Boxes (50/bx).